Tickets sell out every year as fans & VIPs get a rare chance to mingle and play with superstars such as Ewa Mataya Laurance. 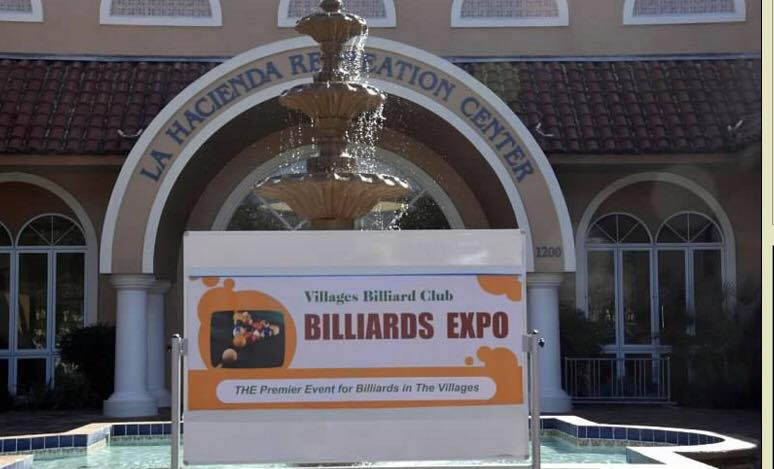 The Villages, Florida- On January 28-31, 2016 the 3rd Annual Florida Billiards Expo will offer pool fans around the world an escape from the winter cold. The FBE takes place once again in the Villages, Florida. Formerly known as the “Billiards Expo in the Villages”, the Florida Billiards Expo will easily have over 1200+ attendees during the 4 days of the event. Activities include tournaments, the Legends Pro Pool School, Golf Pro-Am, Ladies Wine & Cheese Night, Dinner & Lunch with the Pros, free clinics, and the main event, the Legends of Pool Championship. The events are produced by the Villages Billiards Club and Dragon Promotions. Event marketing and promotions by Orlando Synergy. “We are thrilled to be working alongside Dragon Promotions on this year’s events. Especially the Legends of Pool tournament which we feel is going to be a big hit. We’ve had one success after another here in the Villages, and now after two consecutively rewarding years, we felt that it was time to expand the event and evolve it into something bigger. 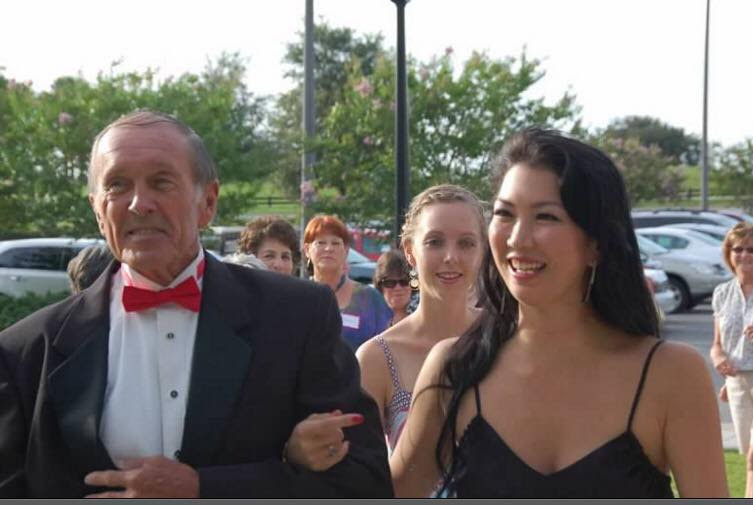 Dragon Promotions is the entity that will take us there”, explained Phil De Angelo, one of the resident Board of Directors for the Villages and President of the Villages Billiard Club. The Villages, Florida is the largest 50+ retirement environment in the world with over 110,000+ residents from throughout the United States and several other countries. The VBC (Villages Billiards Club) is one of over 2,000 clubs and special interest organizations within The Villages. Included in the VBC agenda are leagues, including APA and BCA, weekly, monthly and tournaments, travel teams, lesson programs, special events such as the FEENEY CUP, LADIES CUP, POWER POOL SERIES, and the annual Florida Billiards Expo. 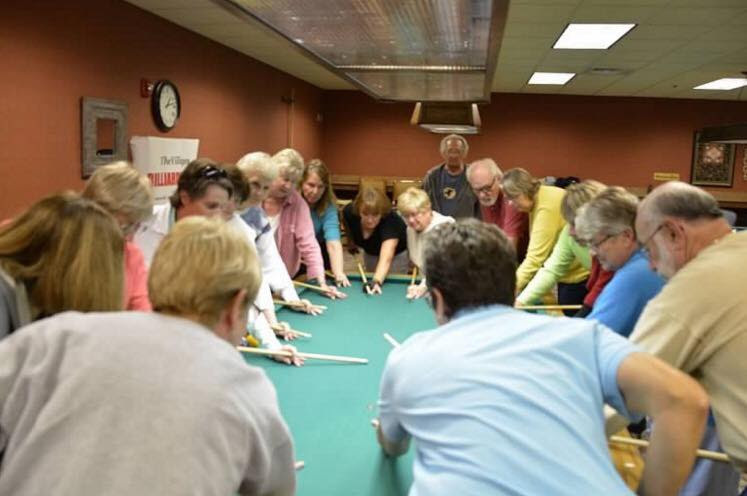 A key component of the Club is the WVBC –Women of the Villages Billiards Club that advocates and produces events and activities focused on introducing and providing opportunities for female players. The VBC is supported by fundraising initiatives that include numerous social events and a Sponsor Program of 35+ businesses from throughout the Central Florida area. 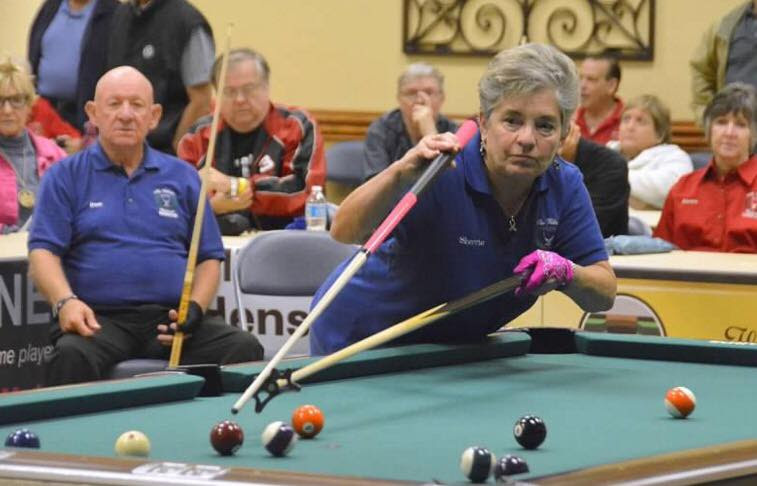 The Villages has hosted a number of professional billiard celebrities over the last few years including Allison Fisher, Mike Massey, Jeanette Lee, Tom Rossman, Ewa Mataya Laurance, Johnny Archer and Nick Varner. “This is an exciting venture for us to cooperate with the VBC. They have very impressive facilities and a long standing, well organized infrastructure. Though our goals are modest this year, the attraction for Dragon Promotions is the massive potential for growth in the Florida Billiards Expo at the Villages”, explained Cindy Lee, CEO of Dragon Promotions. The marquee event will be the Legends of Pool. A championship featuring six legendary champions with three ladies and three men in a 2 day round robin featuring singles, doubles, mixed doubles, ring game, and special Battle of the Sexes. Notable names such as “King” James Rempe and Ewa “Striking Viking” Laurance have already committed. All ticketed pro pool shows have sold out every time in the Villages. Fans should reserve tickets in advance. A first ever Legends Pro Pool School will also allow 30 lucky fans to participate as VIPs of the Florida Billiards Expo. Each VIP will experience a once in a lifetime opportunity to join small groups with the legendary pros working directly on their game; enjoy conversations during a VIP lunch; play 9 holes of golf with the celebrities; play in a special Pro-Am pool match; free admission tickets to all PRO matches of the Legends of Pool; and several souvenir photos documenting your experience for memories to cherish for life. The 3 day VIP Legends Pro Pool School package is only $925. Free admission to visit the vendors, participate in selected clinics and watch the amateurs play!